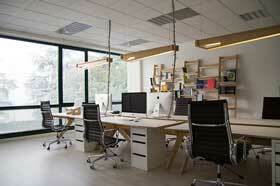 Here are some ideas to consider when thinking about a commercial or office remodel. Any of these ideas are a great way to show your employees and potentially new employees what a great company you are to work for. Having a great office environment is also great for showing your clients you are a successful company. 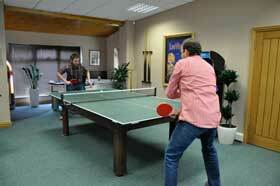 Bring in a few games for the employees to play while on break or when they might need to relieve some stress. Having employees play games together can create better in office relationships and make your office more attractive to potential candidates. What do the big offices of Facebook and Google have in common? No walls. By opening the space of your office and ditching the cubicles, you get more employee interaction and keep the lines of communication open. This also helps to make a smaller office space seem larger. Studies have shown that the human brain works better after physical activity. 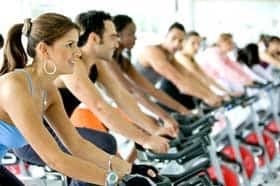 Some companies have taken this idea a step farther by building gyms that employees can frequent on-site. If you have the budget for a project that large, you may want to consider it. Adding gym equipment can ensure your employees feel better and stay at work longer – which is great for your bottom line. Bring your office into the tech age with home theatre style audio, all connected through tablet and mobile phones. 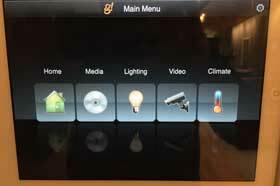 You can control audio, lighting, tv, projector screens and more. This is also a great way to implement a training/class room for you to host seminars for clients or your employees. 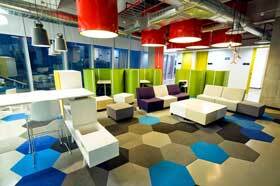 A space where employees can go to brainstorm and be creative. Creating new sales campaigns, loyalty programs and other strategies can be more effective when done outside the employees normal desk areas or other meetings areas where there might be too much distraction. A think tank can also be a good spot for an employee to think and clear their mind. Similar to a think tank, a white board wall can help with creativity. A fairly cost effective improvement that doesn’t take up more space, besides using a wall that probably isn’t being already. It’s also more modern and edgy, something else new millennials gravitate towards. Another edgy modern trend becoming more popular in office spaces. Use bright, bold colors to bring energy and life to your office environment. 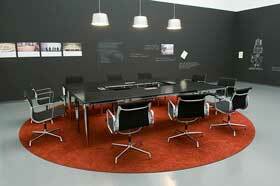 Many offices are decorated using boring, neutral grays, whites and browns. The effect is employees that are so bored they want to go to sleep. Bright pops of happy colors can make your potential employees excited to come to work and create a more fun work environment. You want your employees energized and hard at work. Employees that are burnt out can be present at work, but not actually working. A lounge area to relax and get energized is sometimes just what the doctor ordered. Most office kitchens are ugly, dismal places. There may be a refrigerator (probably the cheapest the company could find), a sad outdated coffee machine, and a boring sink. 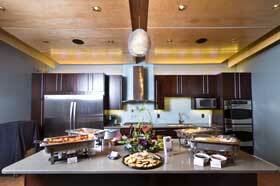 Your employees will spend a lot of time in the office, and in the kitchen especially. Make it a place your employees enjoy, instead of resent. Find nice coffeemakers like the newer, single-cup models. You might even want to invest in an espresso maker. Put some thought into the décor to make it a place employees want to be. No one wants to work in a windowless closet. Bring in light and sunshine with some new windows. If your office has small windows, see if it’s possible to put in larger ones. Keep window dressings light and airy so that workers can see the sights outside. Investing in new windows might help you, too. Some older models of windows aren’t very good insulators. Better insulated windows mean you spend less money heating and cooling your office space.